- alleviates urinary tract infections in men and women. 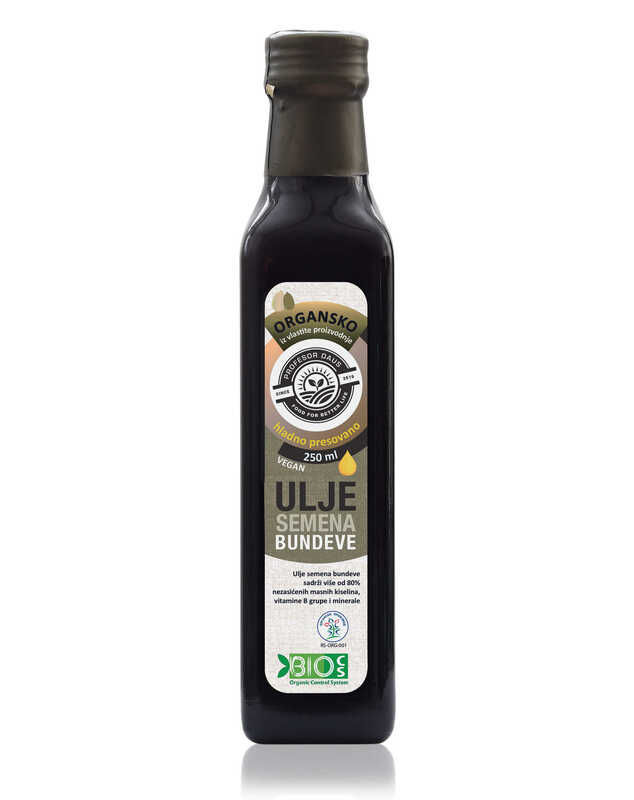 Organic sunflower oil cold pressed contains the highest vitamin E content of all cold-pressed oils as well as vitamins A, B and D. It is extremely rich in omega 3 and omega 6 fat acids. 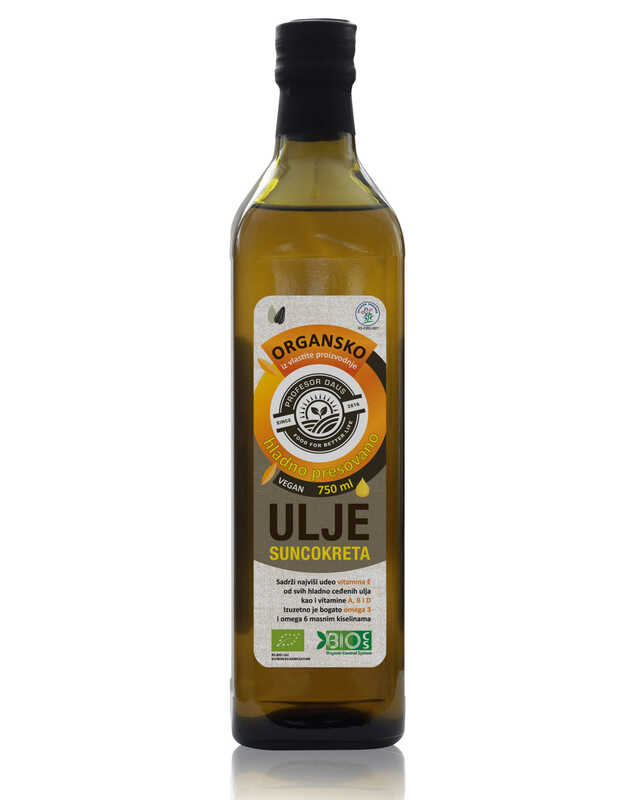 The pleasant and mild taste of sunflower oil ideally fits into all types of salad. Sweet-chefs gladly use it because sauces and dishes give special taste and make every bit more inviting. It is unique in both taste and quality, it is easily combined with other flavors without losing its recognizable aroma. - positively affects HDL cholesterol and triglyceride levels. Because of the high percentage of omega 3 and 6 fatty acids, it is recommended primarily as a salad oil, but many also use it in cooking and baking because of the extremely high smoking point, as well as the mild taste.